Poor global economic performance, rising corporate costs and falling commodity prices dragged down China's foreign trade this year, a senior Chinese customs official said Thursday. 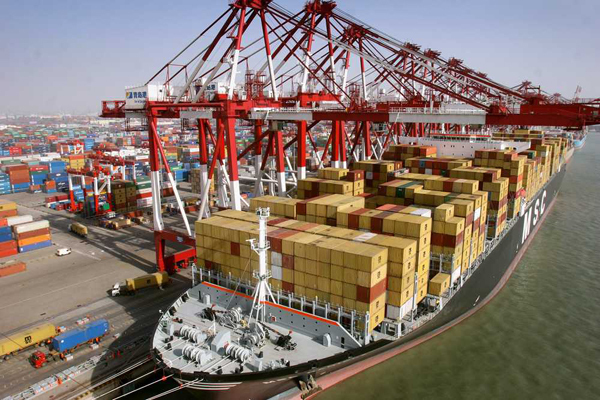 Yu Guangzhou, chief of the General Administration of Customs, told a press conference that in the first 11 months, China's foreign trade dropped 7.8 percent year on year to 22.1 trillion yuan (US$3.4 trillion), with exports down 2.2 percent and imports down 14.4 percent. The decline is mainly attributed to a grim global climate, Yu said. The world's total exports slipped 11 percent year on year in the first three quarters, data from the World Trade Organization showed. China bore the major brunt, especially in exports, Yu said and noted that it still outperformed other major economies including the European Union, United States and Japan in terms of exports. Apart from the global environment, China's rising wages and strong currency added to the burden of Chinese exporters and weakened their competitive edge, Yu said. Moreover, commodity prices continued to drop, estimated to have dragged down imports by 11.2 percentage points and imports by 0.7 percentage points, Yu said. Yu said there are still bright spots, citing improved trade structure, increasing high-tech exports and new trade forms such as cross border e-commerce and shopping tourism. China remains the world's largest trading nation and is still raising its share in the global market, Yu added. Poor global economic performance, rising corporate costs and falling commodity prices dragged down China's foreign trade.